Medical Office Assistants play an essential role in the care and well-being of patients. They serve as vital members of health care teams in hospitals, outpatient clinics, physician’s offices or long-term care facilities. Liberty University’s 100% online Associate’s degree in Medical Office Assistant program will teach you the various components of a medical office so you can efficiently perform your daily tasks. As you begin your courses, you will learn medical procedures like diagnostic coding as well as how to locate important information in the coding book. You will be prepared to handle legal and ethical issues in a medical office by emphasizing confidentiality, HIPAA, risk management, licensing, contracts and professional liability. Your passion for helping others will shine through your attitude, morals, and communication skills. Professors in our online medical office assistant program will help you learn the importance of compassion and encouragement as you interact with patients facing various life situations. At Liberty, we will prepare you to make a lasting, positive impact on staff and patients through our online medical office assistant degree program. Why Choose Liberty’s Online Medical Office Assistant Program? As a Christian university, you will be taught from a biblical worldview from our experienced medical office assistant program professors. At Liberty, providing the highest standard of care to others is shown not only as a career necessity for medical office assistants but as a mission that is in keeping with our values. Liberty is proud to offer our medical office assistant program 100% online, so you can continue your current career without having to come to our residential campus in Lynchburg, Virginia. As more people retire and healthcare advances, the need for medical office assistants is growing fast. In fact, between 2016-2026, the Bureau of Labor Statistics estimates the job outlook to increase by 29%, which is an unusually high rate compared to many other professions*. What Will You Learn in the Medical Office Assistant Online Program? Our online medical office assistant program focuses on the business and administrative sides of the medical field. Students in the online Medical Office Assistant degree will gain the skills needed to be confident in handling the front-end administrative duties or medical billing in an office setting. Students will develop a foundation of business and administrative practices, as well as learn medical terminology to handle office systems and procedures effectively. View the course syllabi (login required). 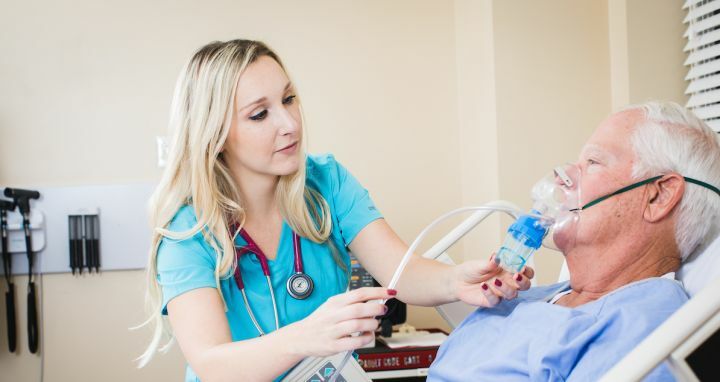 By earning your Medical Office Assistant degree from a nonprofit university whose online programs ranked in the top five of more than 2,100 online colleges and universities for academic quality, affordability, and accessibility, you will be set apart from others in the field. Our online Associate’s Degrees ranked on the list of most Affordable Degrees according to AffordableColleges.com. Students can complete the medical office assistant associate’s degree program in about two years. Our program will open the door to networking opportunities with other professionals in the program as well as real-world experience through an optional externship.